Evidence of Imagination and Invention in the Paper Arts. 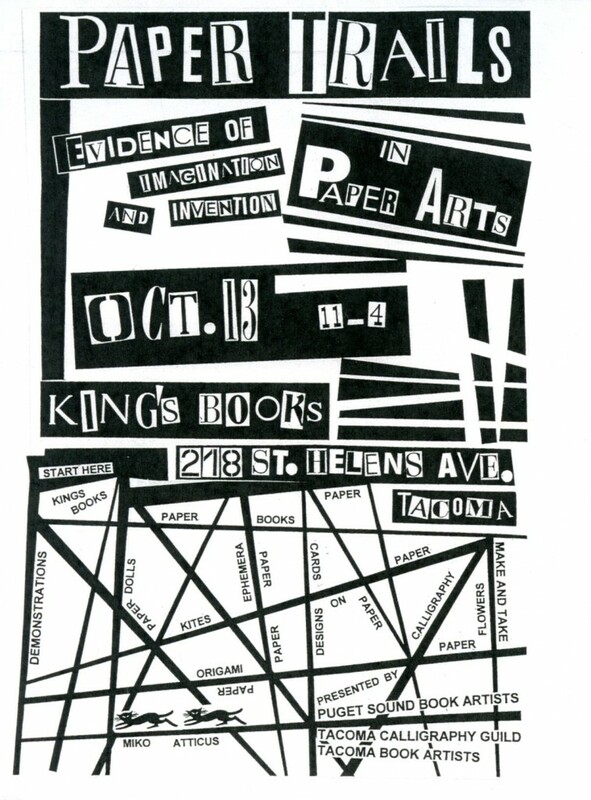 Join local calligraphers and paper and book artists for an afternoon of paper oriented fun. There will be many vendors to choose from as well as three “make and take” tables. Sponsored by Tacoma Book Artists, Puget Sound Book Artists and the Tacoma Calligraphy Guild.